One of the most significant challenges as a developer – especially when working as a consultant (though not mutually exclusive) - is the need to understand a completely alien software system very very quickly, and to be productive in adding new functionality to that system, consequently value, to whatever the project may be. One must cultivate procedures and practices that allow for the rapid addition of development requests that are fit for purpose. Probably the biggest hindrance in all software development is developers that suffer from “not invented here, I didn’t write it” syndrome. Frequently, I encounter developers that cannot work on a piece of code without completely re-writing it, frequently either ending up with exactly the same functionality as the code they replaced or reinventing a square wheel i.e. one finds that one is actually are worse off from a code maintainability standpoint. The role of any Software Architect or Team Lead, is primarily to ensure that the overall architecture of a software system is sound i.e. well designed and robust, lending itself to the addition of new functionality without breaking or changing existing code. This is by no means easy, and the challenges of building software systems are well known, but software architecture is now no longer in the dark ages, established design patterns that resolve most system issues are abundantly available. This most important part of any software application, I cannot but help but to draw attention to that fact, getting this wrong, with the knowledge that you will have developers of varying abilities and skills during the lifetime of the application, is all but a recipe for failure. The architecture of the application must be a policy and this must be enforced. The architecture must make it difficult for developers to just do what they want by requiring that they have to either take a few extra steps in their algorithm or think differently (but the same for everyone else) in resolving whatever they are tasked with. This however, must be a justified design decision, and not loose coupling just for the sake of loose coupling i.e.using interfaces between layers for example, usually forces composability from developers where they would usually use direct call backs. I have seen systems quickly turn into big balls of mud because of this, and the larger the system that bigger the ball of mud. Since the overall architecture has been formalised, what remains is in adding the functionality of different rooms. 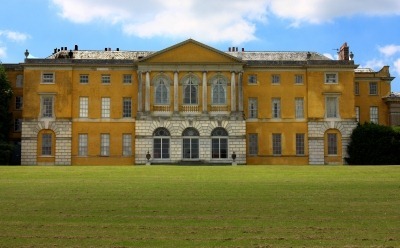 The Drawing Room in the home above, must have all the features and components that allow it to function as such. This is analogous to any feature in a software system. It is difficult for your typical programmer to see a software system in its completeness like the house above, so it is the Architects responsibility to ensure they are aware of what is required of them. Most developers don’t like being restricted in how they are allowed to solve a problem, because most developers are not Architects, and are seldom able to design a coherent and robust system. Rewriting code someone else has written for the most part is usually an exercise in absolute futility. One cannot count the times that programmers habitually duplicate functionally that already exists, and how negatively this impacts a projects progression. It is very easy to lose weeks and even months of development time, all because developers were unable to augment existing code that was already working. If you task a typical programmer to design and develop a piece of functionality in an application, that has specific functionality, the results are often surprising. 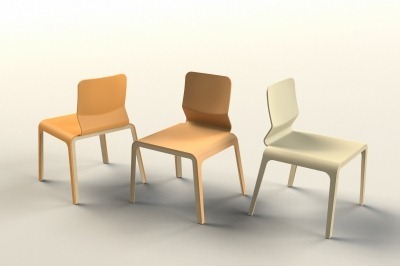 Requirements for software usually result in a single piece of functionality, lets take a chair for example. I am certain the audience knows what the prime functionality of a chair is so I shall not elaborate, why should software be different? The objective for any programmer is to get the requirements realised in as short a time, but as functional as possible. Most programmers never create a chair that is simple and functional but end up with this. Most developers spend and incredible amount of time creating sawdust, separating logic and creating loosely coupled components when a lot of the time this is not required. Developers often try and use their glass ball imagining future use cases and try to always create components that can be extended to have dual or many other uses e.g. the Futon above. This is wrong! Oftentimes, all you want is a chair. 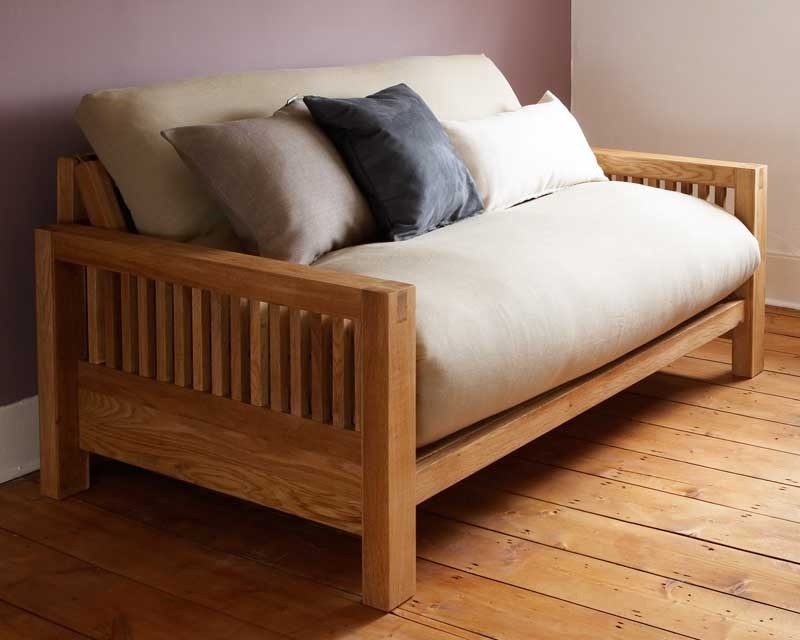 All the requirements in the software specification ask for is a chair and the developer ended up creating a Futon, then are perplexed when they receive lukewarm responses or even complaints that they have designed something that was not required. Single responsibility is frequently misunderstood, and is a prime reason that programmers rewrite existing code a lot . Usually the argument is that “I had to split the code into this class, and that class, and the other class because I wanted to create a software component where single responsibility was as clear as possible”. 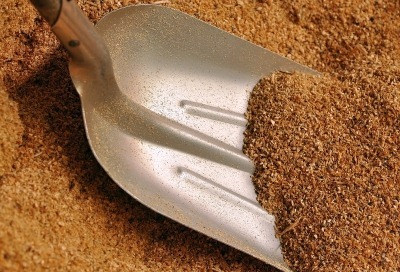 The result almost always is sawdust, and fine grained sawdust at that, because well architected software systems usually just need software components like the chair. It is sometimes hard for intelligent developers to accept that a lot of the code they write at times can be solved very simply, their overactive minds end up creating a software system that is bloated with classes and code that will never ever be used because you aren’t going to need it. It seems almost unfair to include graduates as prime candidates for reinventing wheels, but they almost always are the people that do this the most, including Masters up to and including PhD students. In any software team, you need bright and talented individuals, especially where you are solving domain specific problems. Their importance cannot be overstated here, but with this comes a lot of baggage. It can be very challenging managing a team of incredibly gifted developers. 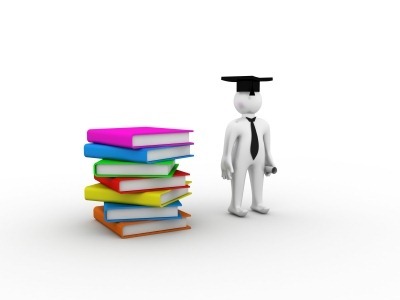 Inexperienced developers of any academic background can also be a drain in resources. A simple problem is usually solved by using the most complex algorithm, when something simpler was required. It seems inconceivable, but most of the hardest problems to manage in complex software systems are usually a result of the smartest people in a teams undue influence. If people are very smart they are hardly ever questioned to justify their choices. I have encountered software where you are told that users hate using the application because “you require a PhD to use the software”. This complexity invariably stems from the source code, thus, it is important to accept that smart individuals always find ways of solving the most difficult problems, but can also be the reason why some problems in complex software systems are difficult to solve because simplicity is seldom a prerequisite in resolving issues. The long-and-the-short-of-it is that the goal of any software is for people to use it, and most success is based on simplicity and easy of use, which also is true for maintainable software systems. Working software seldom needs to be completely re-written because it works. Improvements can always be made to any software because there are no perfect software systems, so save yourself the time and effort by learning other peoples code rather than rewriting it, this will allow you to solve more problems, add more features and provide real value to a project. Presently, I am working on a scientific application, and have been creating some data tables. A request was made to me to ensure that some data columns be rounded to 3 significant figures e.g. After traipsing through numerous articles, the result was that this behaviour was “by design”. After communicating this “by design” feature to my boss (and numerous scientists), their retort was that it was a bug and ought to be corrected. The reason why they were so annoyed was because the missing trailing zero indicates a level of accuracy that is an unacceptable omission in their field, thus I was advised to prefer two decimal places instead. One of the first rules you are taught as a new programmer, is that numbers in computer programs are zero based i.e. you start counting at zero because zero is a number, so why in this case are the .NET framework designers ignoring the zero? One must say that one concurs with this being a bug, and wish the framework library team could correct this behaviour, to save developers polluting their codebases with conversions to strings and back to numbers, just so one can present data in a way that is meaningful to mathematically based users. 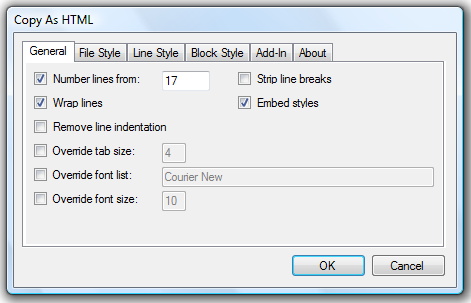 Should I use DevExpress WPF controls for a new project? Firstly, I must draw attention to the fact that my intention is not to spew bile, or communicate zealot-ism of any shape or form. My intention is to try and provide a fair, concise and balanced view, relative to personal experience that may hopefully assist anyone looking to answer this question. 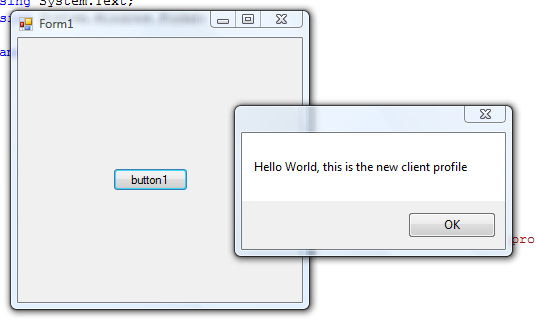 Presently, I am now nearly six months into a Greenfield project, written exclusively using DevExpress WPF controls. Over the last few months, I have come to know their WPF API’s particularly well, and will continue to use the controls for the lifetime of the project simply because it is too late. A definite consideration is that it is often impossible to change anything major as a third party software suite you are developing on top of midway, for all sorts of reasons, the most notable being expense and time/delay to finish. 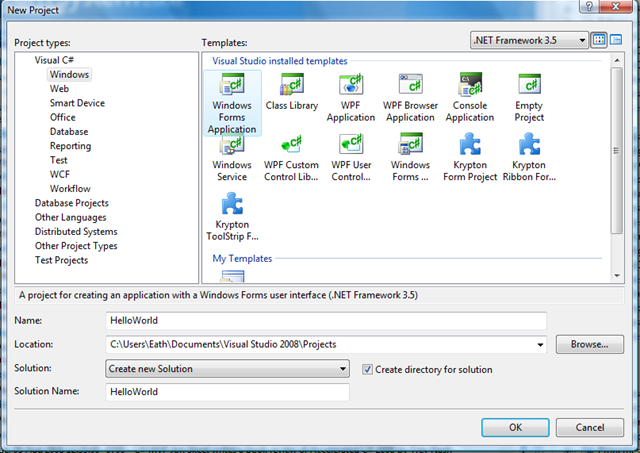 WPF is such a flexible platform, I would advocate getting the business logic and functionality of an application thrashed out first, then look to a design team or third-party suite right at the end the end or during the process, rather than automatically restricting oneself from the offset with a third party suite. This, however, is seldom practicable, as the product owner/customer will need to be interacting with the software as time progresses, and they want to see something pretty, there is hardly ever any flexibility here, the application has to look stunning very soon into the start of the project, in order to gain their confidence (and settle their nerves) and continue in this vein. There is nothing like hindsight, a trite but often unavoidable word when reflecting on a projects progression, It is always harder to be objective at a later date, because quite often, a quite different set of circumstances and considerations result due to the fact that time has moved on, and better ways of dealing with technical challenges and vendors present themselves. the steps required to solve particular problems become perspicacious. One also must accept that projects must commence at some point, and utilise the best that is available at the time, otherwise no-one would ever start anything, because a better suite of components are just around the corner. Invariably, there have been profuse technical challenges along the way, as the application is a scientific one, but that is the essential stimulus for me personally, yes, not fun some days, and you have good days and bad ones, but the overwhelming sense of achievement in surmounting the obstacles are what makes one do it again and again. Attention to minute detail is of unparalleled importance. For all intents and purposes, it is about minutiae! I think it important to take note that this is not a typical forms over data application but of a scientific bent, and thus far, their controls have proven very hard, if not impossible to customise to meet our technical requirements and specifications with ease and eloquence. Over the last month or so, I have been writing code that I quite frankly feel embarrassed to ever admit that I checked in…why? 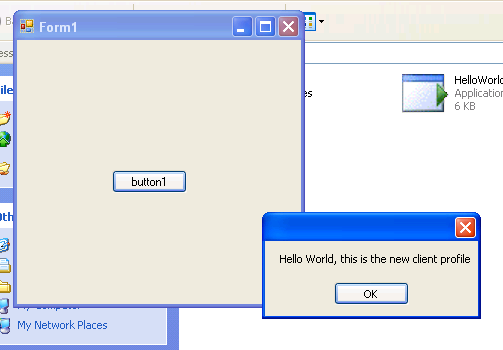 The biggest problem is that DevExpress developers completely misunderstood WPF when they developed their WPF controls. I really cannot impress upon you sufficiently well just how much of a displeasure it is using their controls. I feel absolutely terrible (almost guilty) about talking about a vendor with such negativity, but they have made a serious mistake in their WPF suite, it has been a singular source of the most abject frustration for me in about a decade of developing software. WPF was built to allow developers to be flexible, and to build components with ease, using DevExpress controls cuts your flexibility by about 90% (and that is not a guesstimate). Frequently, it is possible to get off to a bad start in any project, even with experienced developers. It is the fresh ideas and perspicacious vision that allow younger developers for the most part to escape the nebulous approach experienced developers tend to exhibit. In my experience developing WPF applications over the last three years or so, one of the most poisonous components to introduce to a new WPF application, is a dyed-in- the-wool Windows Forms developer. One feels however that one must communicate extensive and comprehensive experience as a Windows Forms developer, but somehow I managed to shake off any misdirection in solving WPF problems after witnessing just how bad approaching WPF from a C++ and Windows Forms mentality is. On some projects, I have witnessed resplendent software engineers and architects commit the gravest mistakes in implementing WPF projects, simply because they could not and would not start looking at things from a different direction. 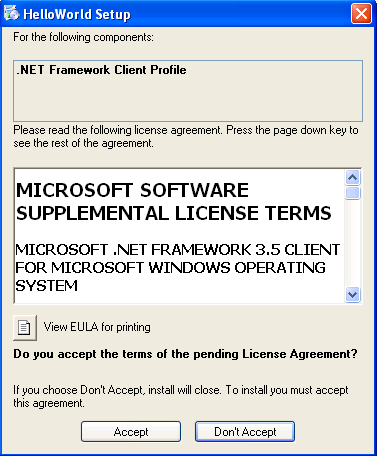 It is this scourge that has been eminent in the procurement for DevExpress WPF controls, that much is irrefutable. Recently, after speaking with a colleague, we arrived at the conclusion that their WPF API’s have been written top down by Windows Forms developers. It is that, and their overwhelming success as Third Party Windows Forms Vendors where things have gone horribly wrong. Using their controls in most instances, places asphyxia on whatever problem you are trying to resolve, because most of their API’s are just so hard to get to do what you want them to do, because they failed to grasp what WPF developers expect in their components. Frequently, I consult my rather extensive library of code to solve problems that I find cropping up again and again, but it is almost impossible to use any of my existing WPF code with their controls, because of the way they have implemented their API’s. That is a sad indictment of the API’s. 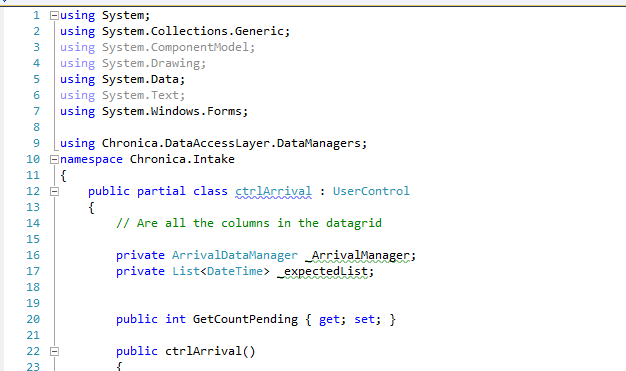 A simple application that you write in WPF and bind to in an items control or List Box in WPF, is impossible to migrate to their Grid controls for example because of their horrendous implementation. 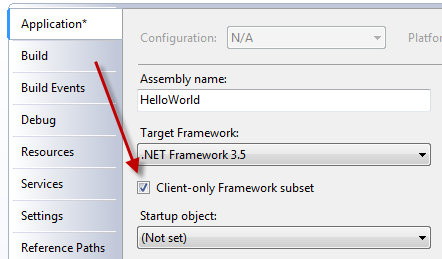 One of the key components in every WPF project that I have worked on is Model View View-Model (MVVM) proficiency. This has been an essential and sought after skill when dealing with customers. 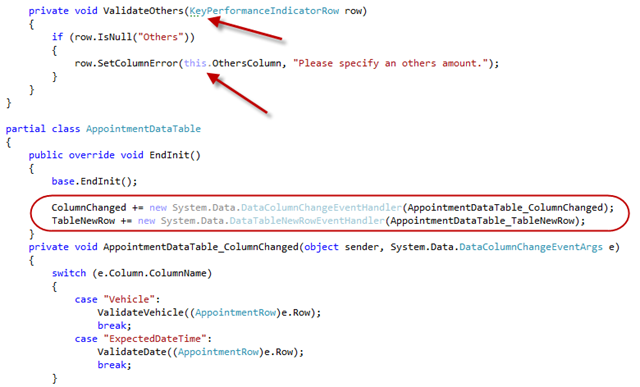 As I write today, you will find plethoric requests for MVVM support for their WPF controls, and hitherto there is none. There are no code samples or examples on their numerous websites, so typically you will confront a problem, and find that their controls are specifically written to handle events in the code-behind and not commands. 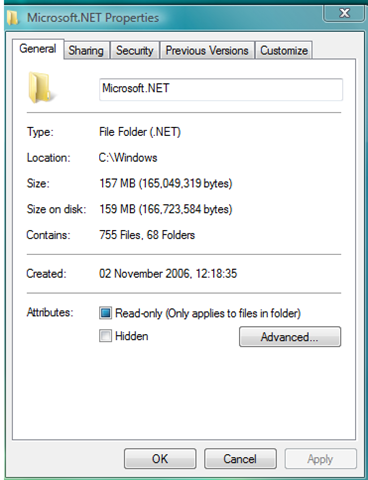 You will also find that they adore the decade old version of ADO.NET that is datasets. I have not worked on a single WPF application that has not used MVVM or POCO’s, finding anything in their documentation or code samples using POCO’s is as likely as finding a hen with teeth, speaks French, and tells jokes. What I cannot however fault, is their support, this is certainly a redeeming feature, because their have an absolutely brilliant support system, and their staff are a joy to work with. They almost always find a solution for a query, though sometimes one is left wondering why you needed to consult someone to perform what are mostly basic functions.If you are thinking of using their controls then you must be prepared to accept that you are for the most part, a paying guinea pig, because most of the issues you will have have either been reported by other customers, or your problem will be used to resolve other peoples problems in the future, as their websites and forums are pretty useless, they seem to take little care in preparing helpful documentation and code samples that reflect real world usage for their customers, pretty much every example is an example on how not to write quality software. Another big issue I have found is with their release cycle. They generally have two big releases every year, and lots of incremental ones. If you find a bug, it is always tempting to update to their bug fix versions, but I have found this to be an endless source of hair-loss. Pretty much every time I have upgraded to solve an issue, it has been partially fixed, or ended up creating bugs or their have renamed and changed things that break things. The Visual Studio way of releasing software seems the best for developing complex projects, where over the period of a year or so, you can concentrate of solving the domain problems, rather than bug-riddled releases. It may sound as If I am being harsh or truculent, but this is the reality of using their software. If you are thinking of using DevExpress WPF controls, you really have to try and assess whether you fall into their 90% use case, or their 10% oddities, but even if you do fall into their 90%, their API’s will assist you in writing a lot of hard to test, inelegant and expensive to maintain code, as they have been written to work best using the paradigm of the technology they are meant to be replacing (Windows Forms). If you have worked with WPF for any amount of time, it is almost unbelievable just how restrictive their controls are to use. Presently, even as one writes, befuddlement continues to present itself, as to how or why their controls work the way they do? The Microsoft WPF control library is such a flexible system, why asphyxiate you and your organisations software development efforts by people that still write software components as if it was a decade ago? A key factor to being a successful developer is writing good, solid, maintainable, error free code. It seems like a pretty obvious – albeit innocuous – statement, so why state the obvious? When you check code into the main branch of the source code for your organisation, you immediately expose your abilities and disabilities as a developer to the people you work with and for. If you check in a bad bit of code that contains bugs, it usually isn’t you that first notices the bug, but a colleague and you can look inept, especially if it is a silly mistake (and you have made a few of them – your boss may start thinking you are inapt to continue in your role in the company). Writing good code is very difficult, especially when the code base is changing rapidly so you as a developer need tools that can make your life easier. The more experienced you become as a developer, the more you look to ways of making your life easier. Jetbrains have a visual studio add-in called ReSharper that is a little like FxCop, which the smarter developers amongst us use. If you are wondering why some developers seem to produce very clean code consistently that omits silly bugs (even on a Friday afternoon), you will more than likely find that they are using ReSharper. I don’t doubt that a lot of people may dislike the fact that this takes over your IDE (this really is for the better though), in fact, If I recollect correctly I tried ReSharper a few times, then removed it (after a few word of mouth trials) every time because my IDE was less responsive, and because I was impetuous. It was only when I released a test application to a customer a few months ago (that kept crashing unexpectedly), when desperation set in, and drove me (frantically) looking for errors in my code. The main culprit (in this specific instance) was a handful of null references in the codebase that had gone unnoticed, that ReSharper readily identified and I corrected, consequently achieving rapid application stability, over the course of a few days long code review. I’m not saying that all my problems were fixed, but most of the niggling issues were, with little to no effort. It is not just null checks that ReSharper identifies, but a pretty comprehensive set of common coding mistakes that even the best programmers frequently make. The ‘Big Win’ is in that you get to correct problems there and then, as the code is written, before it becomes an issue. 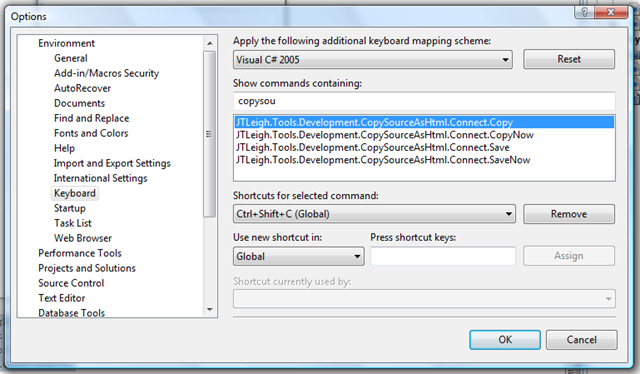 Visual Studio 2008 introduced background compilation that surreptitiously increases developer productivity by showing them errors as the code is typed, rather than waiting to press F5. ReSharper is orders of magnitude more helpful, if you use it correctly, you end up with a very clean codebase, with no unnecessary code, that has had common errors identified, giving you the developer confidence in your code. In most other cases it is redundant to use the word. In the sample above there are several issues. I have dead namespaces at the top, a poorly named control, two poorly named variables, that can also be made readonly. This is just an iota of the static runtime assistance that you get as a developer, and you can adopt the mantra of “writing a little code that does a lot”, rather than “writing a lot of code that does a lot”, with significantly less bugs. I strongly encourage you to download this tool, acquaint yourself with it, and start working a little smarter (even on Friday afternoon). 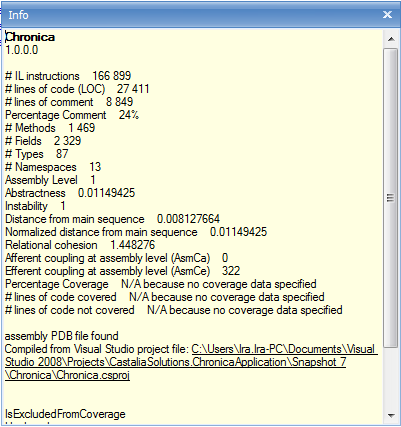 Syntax Highlighting In Blogs/Websites From Visual Studio for C#, F#, Visual Basic, XML, XAML etc. When time permits, I enjoy writing the odd article for my blog, and tend to post code samples pretty frequently. There are a number of syntax highlighting tools available (even as add-ons for Windows Live Writer that I compose all my blog posts in) that you find interspersed in blogs over the internet. I ran into an issue where I was upgrading from Windows Vista to Windows 7 where the live writer add-in stopped working, and transmogrified my code in blog posts, and there was no way to retrieve code if it was a previous post in Windows 7 (used my Vista laptop). I resolved then to seek an alternative solution that emitted pure HTML. 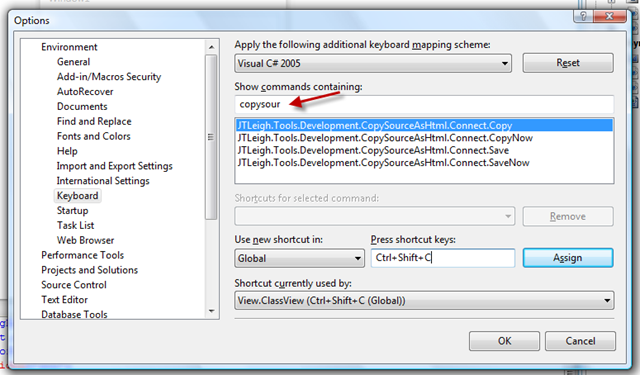 There is however, a limitation in the Visual Studio 2008 version where you do not get the context menu option when trying to copy XAML. 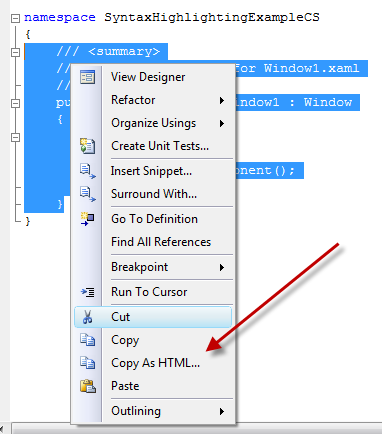 You could do a copy and paste of the .xaml into an .xml file, as the option is available there, but that can get a bit cumbersome. Before a parachutist, mountain climber or formula one driver undertake their tasks, a number of checks need to be undertaken. These checks will assist in deciding whether the parachutist for instance will even jump out of the plane. If a typhoon is on the way, all are likely to wait until it has passed, the type of climbing gear the mountain climber will choose, must depend on the type of mountain they are to climb. What all these checks result in, is less surprises, in computer programming this is analogous to bugs. I know that architecture is ubiquitously used to describe engineering software, but the comparison is indeed an irresistible one. 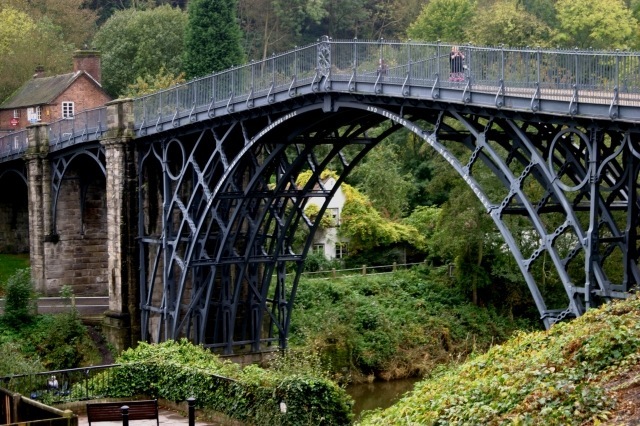 Take the Ironbridge in Shropshire for example, every element of this engineering feat must have been stress tested. The materials must have been tested to see how they react to temperature changes, weight and so forth. You can even find out how many rivets they used, and the length of the steel used in the bridge, all wonderful and useful information. Shropshire bridge (as I’m sure your well aware) is not the only bridge in the world, as there are a great many others that come in different shapes and sizes and age. The design process for a lot of these constructions requires a similar set of circumstances and considerations. A formula one motor car for example, still has four wheels as does a mini cooper. Writing software is no different, and most if not all software projects entail a similar set of circumstances and considerations, whether massive, big or small, you still want to deliver a fast, efficient, reliable and effective application. The way I look at my code has been changed forever. What you get is an abundance of relevant and pertinent information about your code, that you never thought possible. NDepend is about assisting you the developer (whether a single man outfit or team) to ensure that you are producing the highest quality code possible. There is so much information at your fingertips, it is overwhelming. The Model View Controller, Model View Presenter and Model View View Model design patterns for example, are all about separating the concerns of your code, and increasing the testability of your code base. 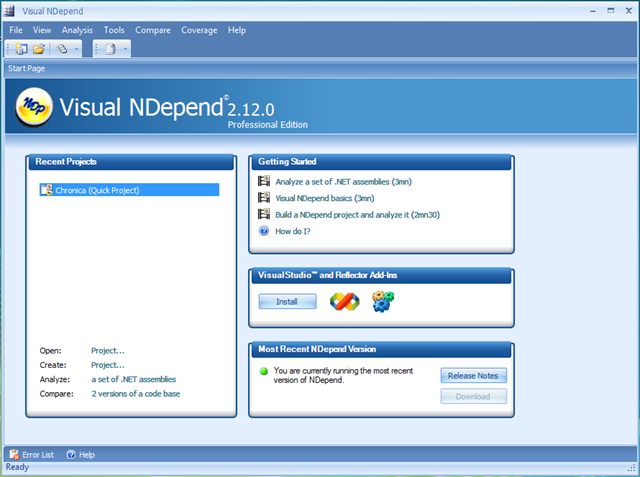 NDepend is another necessary tool, in that when you perform code reviews, it becomes an indispensable tool. Architects for a project can set rules for the code base, and easily check to see that they have been adhered to from a quality point-of-view, and developers themselves can ensure that they remove any sloppy code they’ve written, and spot anomalies and problem areas before they check in their code. Here I have just loaded an assembly for an application that I wrote a while ago. I have a pane (one of many) that furnishes me with information about the number of lines of code I have for instance, comments, methods, fields and types. In another pane, you have information pertaining to code quality, methods that are too big, methods that are too complex, methods to refactor, methods with too many variables, methods with too many parameters, the list goes on and on. Each point an important code quality concern. In the same pane under design, you have suggestions that stateless types in the code could be changed to static types, or that a class without a descendant should be sealed, and again a myriad of other code quality issues that need to be addressed. Why should it be sealed? The sealed modifier is primarily used to prevent unintended derivation, but it also enables certain run-time optimizations. In particular, because a sealed class is known to never have any derived classes, it is possible to transform virtual function member invocations on sealed class instances into non-virtual invocations. 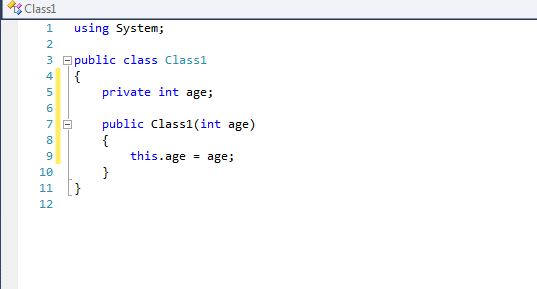 You have 5 classes here that can be changed to Structs, improving performance as they are now value types and not reference types from a .NET runtime standpoint. 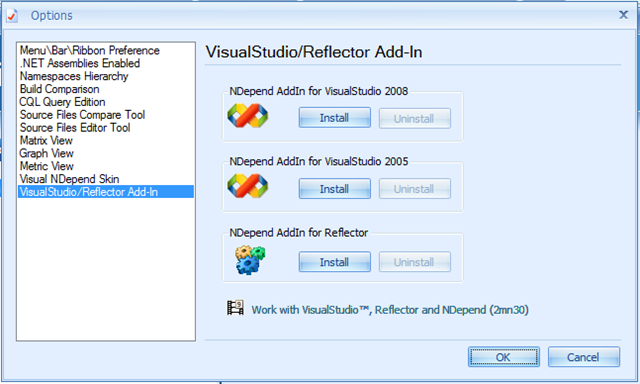 You have Visual studio integration, Reflector integration and a wealth of other features. An issue any Software architect or Developer always runs into is performance and trying to ensure that their code is as optimised as possible, ensuring that their end users have the best possible experience when they use an application. I have always used this article every once in a while to ensure that my applications are structured correctly, and refer to it every now and again (most of the article is relevant to Silverlight and WPF as well). Clearly by using NDepend you will end up with better performing applications, and also more maintainable codebases, because all the ‘gremlins’ are ‘found out’ soon and the more you review your code with it, the better quality your code will be as a result. 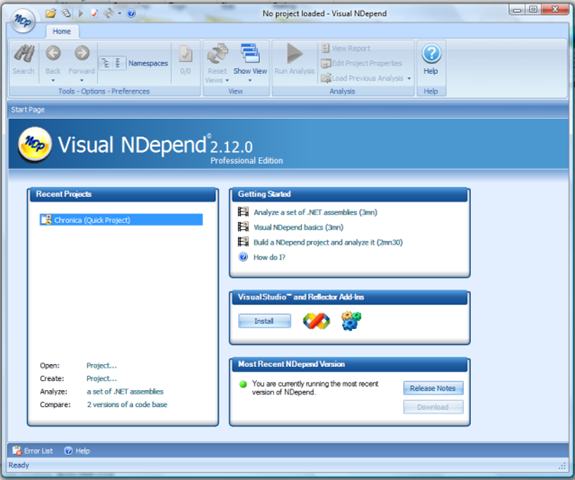 NDepend is an essential new development tool, that I will blog about more, once I understand it better. 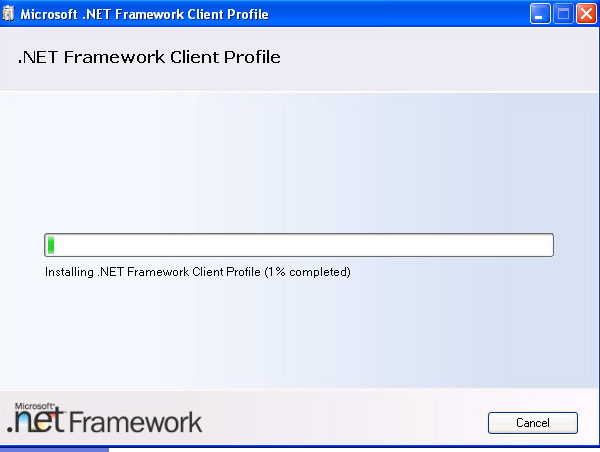 In a previous post, I discussed the benefits of the .NET Client Profile, but this was still beta and had not been released (though it has now been released in Visual Studio 2008 SP1). 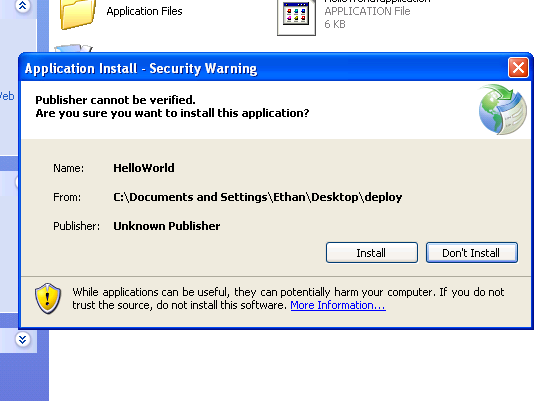 Presently, this is only of benefit to XP machines, but its function will certainly be beneficial to Vista or future Windows versions, as the .NET versions increase. Essentially, all the server or developer specific libraries are removed, leaving application specific libraries only (why was this not thought of sooner?). 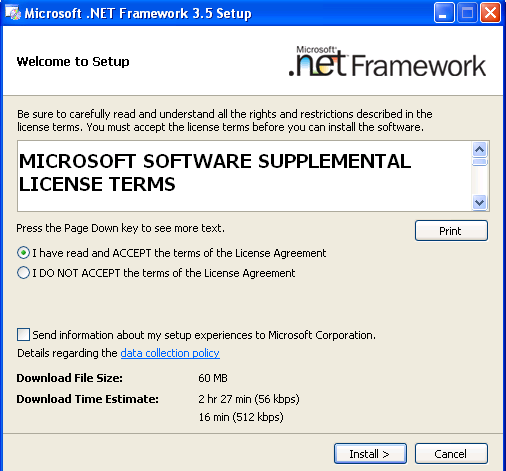 If one is thinking of deploying a .NET 3.5 SP1 application today on XP, an installation of .NET 2.0, 3.0., 3.5. and associated service packs is required. 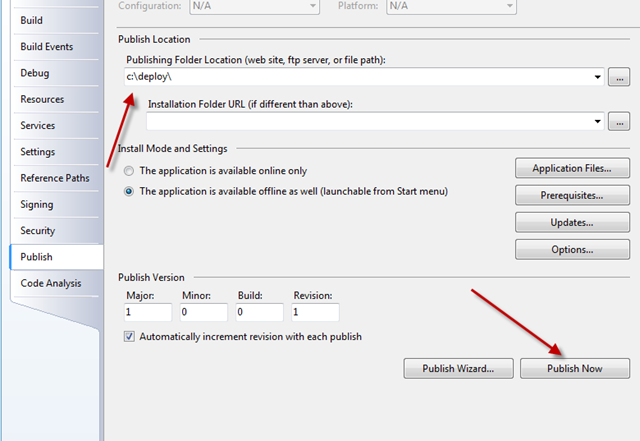 The resultant package, is a download or install that is hundreds of megabytes large (or so it seems). 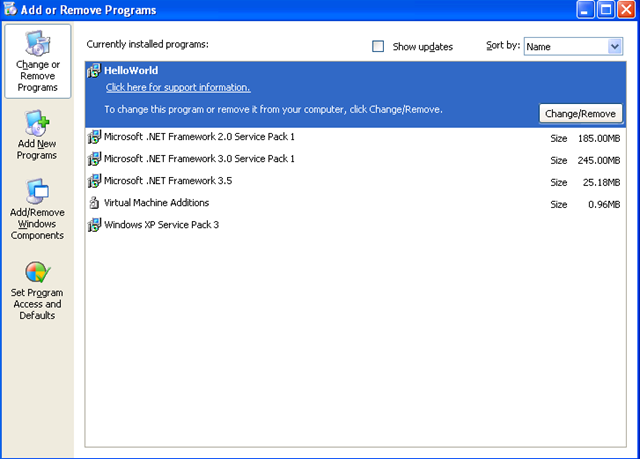 The .NET Client Profile is designed to be installed via the Microsoft Website. If installation is required locally then a webserver must be created and one must go through a few tedious steps. My own thoughts are this was unwise of Microsoft, as there are loads of developers who just want to create a setup CD with all the necessary files, without creating a dependency on the Internet in order to deploy an application. So why go through the bother of doing this? 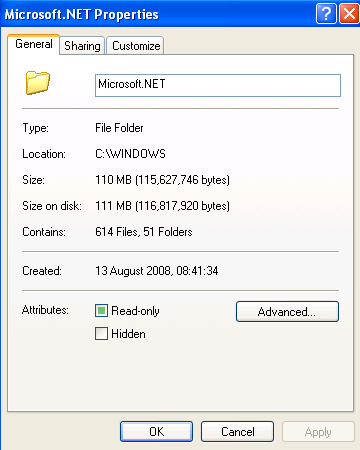 If you click into the windows folder on the XP machine and right click the .NET framework folder you can review its size which is approximately 53 MB in size. 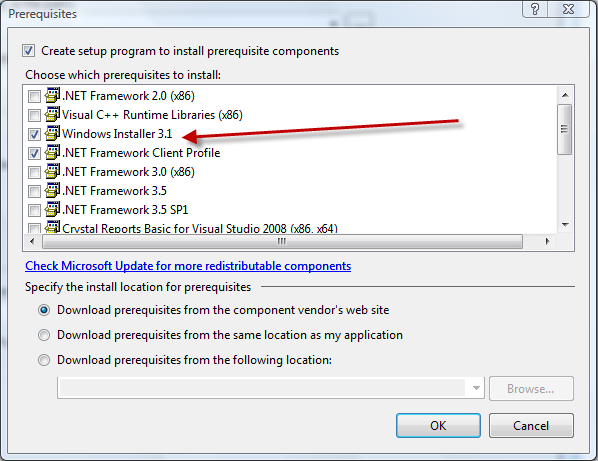 I know code does get installed in other places but as you can see the code you need to install is at least halved with the client profile.